It was 2016 when EMA launched the PRIority Medicines scheme (PRIME), a program to drive innovation and improve the efficiency of the development process in therapeutic areas with the most pressing unmet medical needs. Two years later the Agency published a report to present the first results of PRIME. It explains how the criteria for eligibility to the scheme have been applied and what type of support applicants have received so far. “Our analysis of the first two years shows we have established a platform that promotes the development of promising medicines for unmet medical needs and at the same time addresses the complexity of medicine development,” said Guido Rasi, EMA’s Executive Director. “Through PRIME, we offer early and enhanced dialogue to enable the generation of better data and more robust evidence on a medicine’s benefits and risks”. Since the launch of PRIME in March 2016, the Agency has received and assessed a total of 177 requests for eligibility to PRIME. Overall, the quality of applications received is good. Only a few requests (8) were out of scope and not deemed suitable for review. The main reasons were that either the product was too early in its development (e.g. 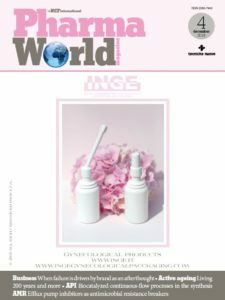 too early for proof of principle for SME or for proof of concept for non-SME) or that it was unclear whether the product could fall under the definition of a medicinal product and thus be within the remit of EMA. 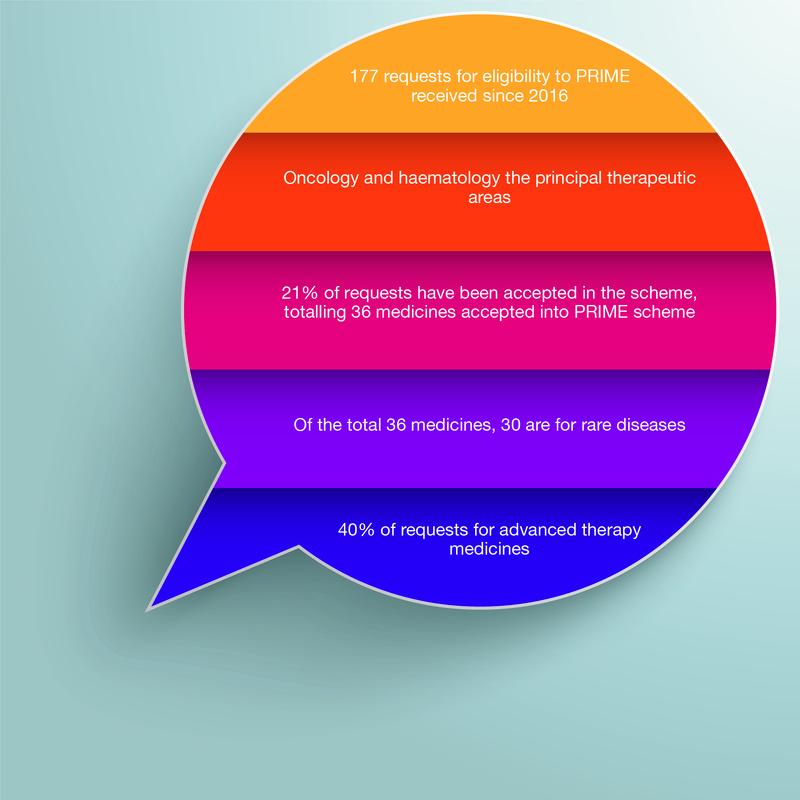 Out of 169 requests received and assessed, 36 were granted eligibility to PRIME. Twenty-one percent of requests have therefore been accepted in the scheme. This indicator has remained stable since launch. Since its launch, PRIME has generated a high interest from SMEs which have constantly represented more than half of the requests received. On the other hand, only three requests have been received from applicants in the academic sector. As set out in the framework for collaboration between EMA and academia and supporting action plan published in April 2017, EMA will raise awareness on the support the Agency can offer with the aim to promote and further develop regulatory support to translate academic research into novel methodologies and medicines. 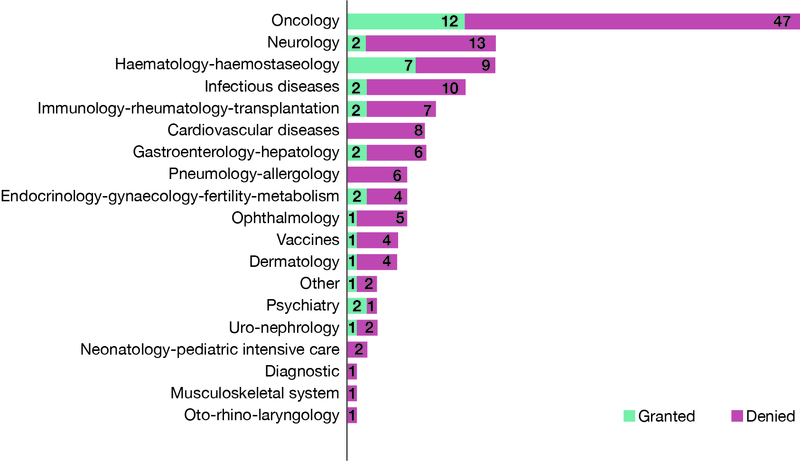 Oncology and haematology represents the principal therapeutic area (Figure 1), and in 39% of cases the request was for advanced therapy medicinal products (ATMPs) (Figure 2). While PRIME is open to all companies on the basis of preliminary clinical evidence (proof of concept), applicants from the academic sector and SMEs can apply earlier on the basis of compelling non-clinical data and tolerability data from initial clinical trials (proof of principle). Over this two year period, only eight requests were submitted by SMEs at the proof of principle stage. Out of these, three had been granted eligibility to PRIME at this early stage of development. Notably, the sponsor for one of these products has subsequently provided the Agency with exploratory data on its progress to proof of concept, enabling confirmation of PRIME eligibility. 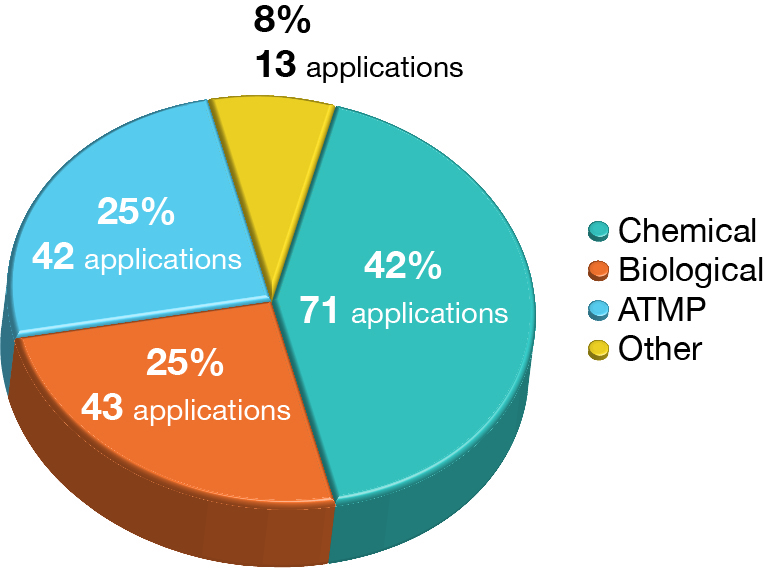 Most eligibility requests received (161 out of 169) are at the proof of concept stage supported by exploratory data. The source or phase of clinical trial of the supportive data is illustrated in the Figure 3. Overall, the majority of applications base their request on phase 1 or a combination of phase 1 and phase 2 data. A key feature of the PRIME scheme are ‘kick-off’ meetings – a unique type of meeting for medicines that are eligible for PRIME. These multidisciplinary meetings bring together the rapporteur for the medicine as well as the chairs and experts of relevant EMA committees to ensure that all aspects of a medicine’s life cycle are discussed early, including risk-management issues. The first kick-off meetings were organised in July 2016 and, to date, 31 meetings have taken place. The aim of the meetings is to agree on next steps on how best to address any identified issues and/or to identify issues to be discussed normally in the context of scientific advice. After the kick-off meeting, the enhanced scientific support to optimise the development programme is channelled through scientific advice by the SAWP. This procedure allows the applicant to discuss the details of the development plan, the design of pivotal studies and post-authorisation activities. Since launch of the scheme, a total of 37 scientific advice requests have been received concerning 22 products accepted into PRIME and for which a kick-off meeting has taken place. The Agency could also prioritise Scientific Advice of PRIME products. 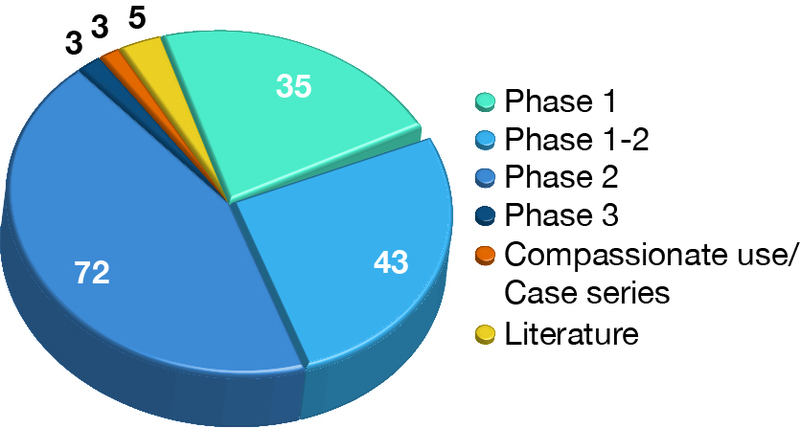 12 procedures (32%) were finalised within the shorter 40-day timeframe (compared to the standard 70 days). Scientific Advice have been requested not only on clinical but on all aspects of the development, i.e. quality, nonclinical and clinical, as well as questions related to the post-authorisation follow-up studies and registries. Overall, after a successful launch in 2016, the PRIME scheme continues to meet expectations in terms of performance. Experience and feedback from stakeholders has been implemented in the key supporting documents and guidance. Kickoff meetings and scientific advice procedures are considered key features of the scheme, enabling support that is not only provided by EMA and Rapporteurs but is coordinated across all of the Agency’s Committees. So far the Agency has received three marketing authorisation applications for products eligible to PRIME and these are still under evaluation. It is too early to draw conclusions on whether PRIME is meeting its objectives and thus facilitating accelerated assessment and, ultimately, timely access to patients. This will be the subject of future analyses and reporting once more applications have been received and assessed.